In this major transformation we remodeled a master bathroom from basic builder finishes and fixtures to a tranquil spa retreat for my clients. In the before images you can see the interior is made up of fairly standard materials that were installed in most newer homes that were built at the time in the early 90’s. The clients asked for an updated, more modern, spa like retreat. They loved the idea of using a mosaic to add some color and wanted the calming effects of blues and greens. We demoed the entire room and installed new cabinetry, countertops, sinks, faucets and lighting. 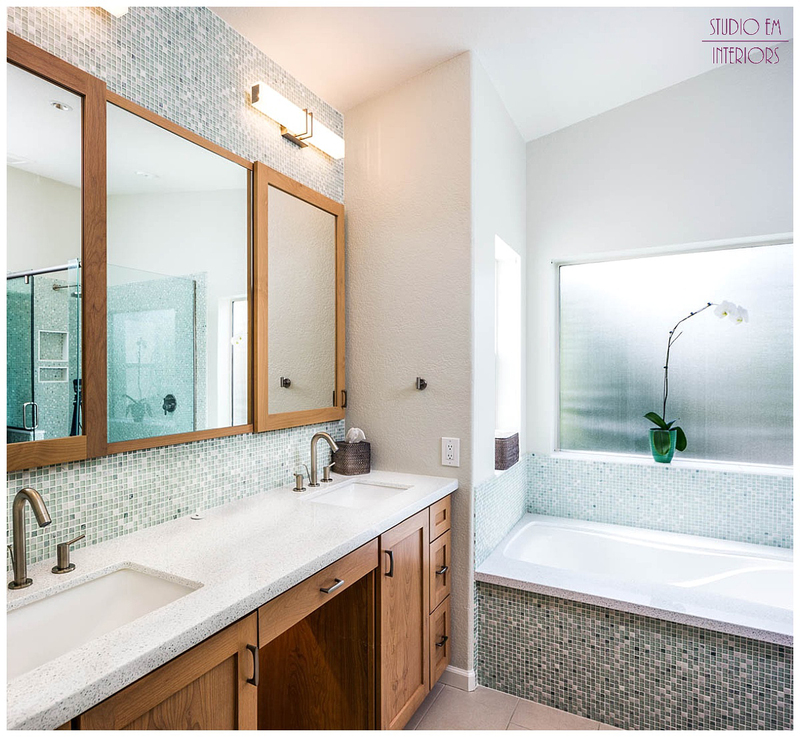 We added extra tranquility to the space by repeating the tile we used in the bath and shower area behind the vanity. The medicine cabinets were recessed into the walls and hidden behind framed mirrors. The tub and shower area were tiled with the same mosaic tiles throughout to create a seamless feel to the space adding to the calm, open feeling. 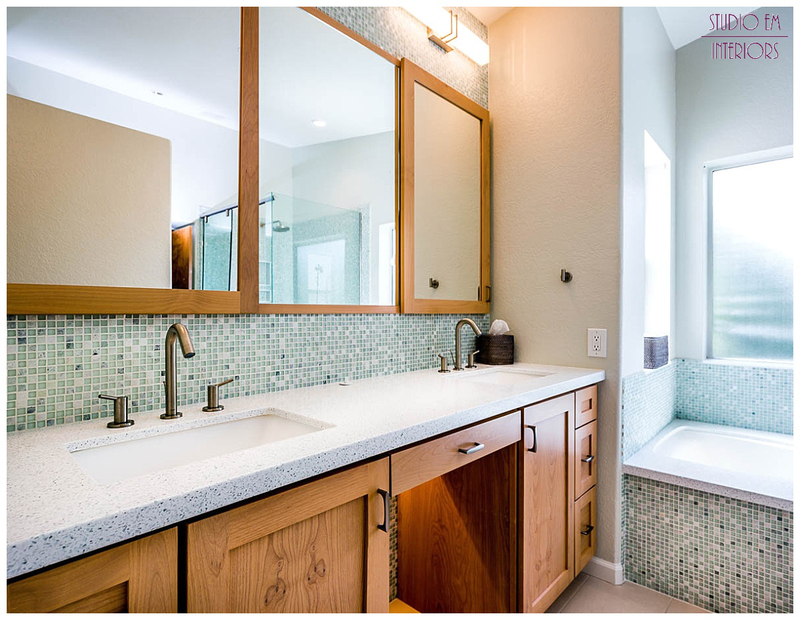 The countertops and the tub deck are white with recycled glass in the top. 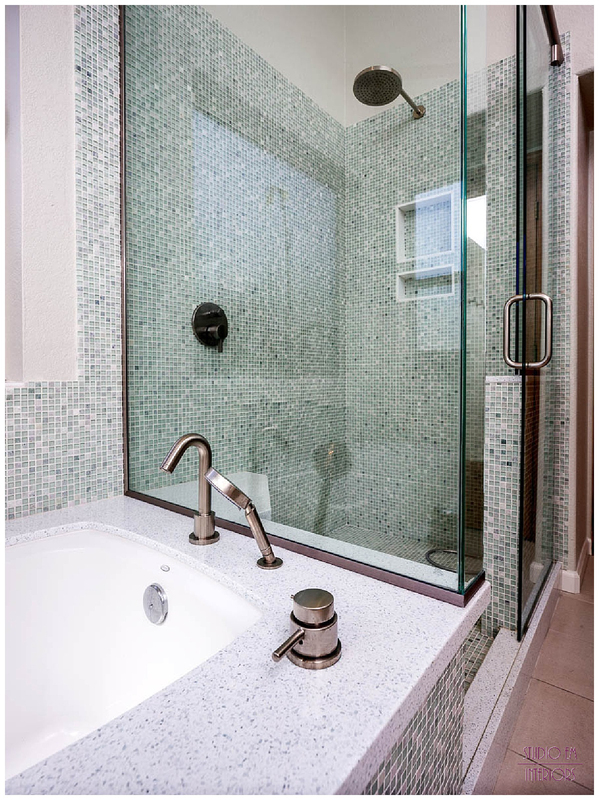 The recycled glass picks up on the blues and greens of the mosaic tiles. We used brushed nickel finishes throughout the space on all fixtures and lighting. 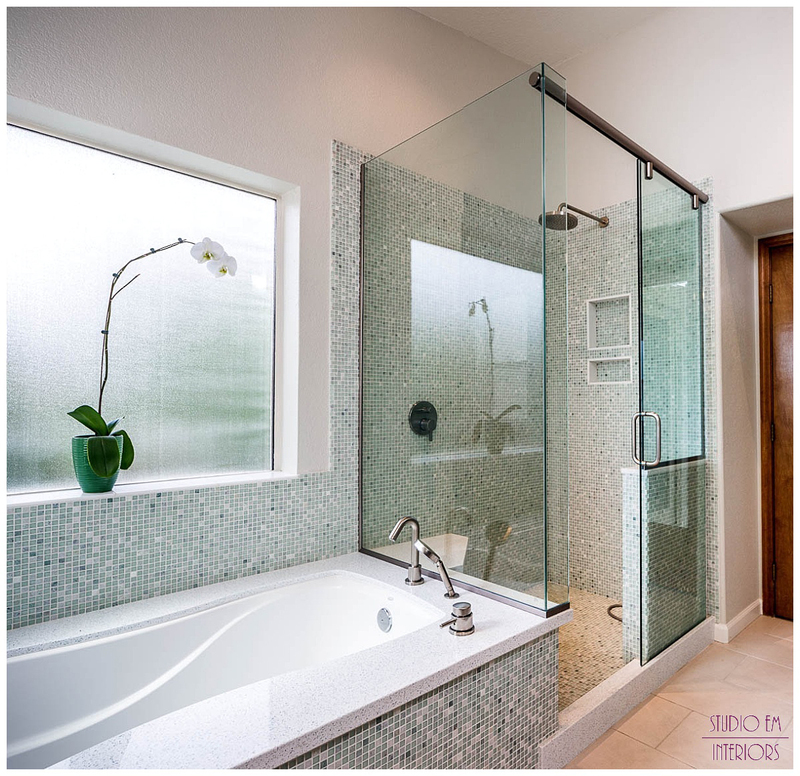 The clean lines and calming colors give this master bathroom remodel a relaxing and tranquil feeling. It truly became a place to escape at the end of a hard day. The choice of color and finishes brightened the space and transformed the interior into a place you want to relax and stay awhile. « What’s your design dilemma?